The fact is that I have come to believe that the surge strategically advanced the cause of modern civilization in Iraq, however modified by Islam in its various manifestations. But it did not ensure it. Those of us who supported the war on a mere estimate of American capacities carry a heavy burden for the deaths of both allied troops and Iraqi civilians. Still, the president did not improve the odds of success by pulling all but 50,000 of our troops from old Mesopotamia on an absolute and arbitrary schedule. The dozens and dozens murdered in 13 cities and towns the day before yesterday, so soon after the withdrawal, was a show of strength by what we know to be Sunni terrorists (the New York Times still calls them “insurgents,” but deftly without identifying their Sunni loyalties.) OK, you may say, Barack Obama was true to his own belief that the Iraq war, “Bush’s war,” was doomed to failure. And the blood of our soldiers is debited not to himself but his predecessor. This is just another instance of the radical cynicism that colors many of the administration’s so-called initiatives. I am and have been more skeptical of the Afghan enterprise. Rather than deprecate the Bush administration’s relatively low-level involvement in that miserable and all but incoherent country, I thought it rather wise. And, frankly, I was appalled when candidate Obama elevated the conflict there into a war of necessity...even getting his campaign audiences to cheer (not with much enthusiasm, to be sure) when he made his what is now clearly a gross distinction. In any case, General Petraeus (who knows what he is talking about while the president does not) has told us very clearly that the near deadline approach to fighting the Taliban will bring about yet another disaster. One of the reasons why wars in the Muslim orbit are so vicious is because they are fought over the souls of men and women. In a way, there is no surrendering—at best, there are tactical cease-fires—since the stakes are eternity. I am now in Israel where there are similar struggles for the souls of people, Jewish people. No, Jews don’t kill each other over doctrine. But the ultra-orthodox, both from the Sephardi and Ashkenazi (Mediterranean and European) traditions are always trying to extend and expand their coercive license over their own. And, of course, extending their coercive license over their own means also impinging on the rights and liberties of others. So I was thinking: what if a fierce clash over the rights of women were to develop in haredi Israel? There are ongoing efforts to open women to the idea that they need not tremble before the Lord. But the government knows its limits. Let’s say official Israel were to try to liberate Jewish women (to say nothing of Muslim women) from the social oppression they suffer. After all, they are kept from meeting men without the presence of their husbands; there are all kinds of rules about ritual bathing, clothing and hairlessness to which they must adhere, etc. But from the civil perspective they cannot run for public office, just like in several Muslim countries. This is not because of law but because of the coercive powers of their environment. Imagine that the government were to decide to liberate these women. And, having exhausted all forms of ordinary and even extra-ordinary discourse and economic incentives, it were to decide to send troops to B’nei Brak and Mea Sharim, two ultra-ultra-orthodox neighborhoods, to free the captives and enforce their right to enter politics and run for the Knesset. 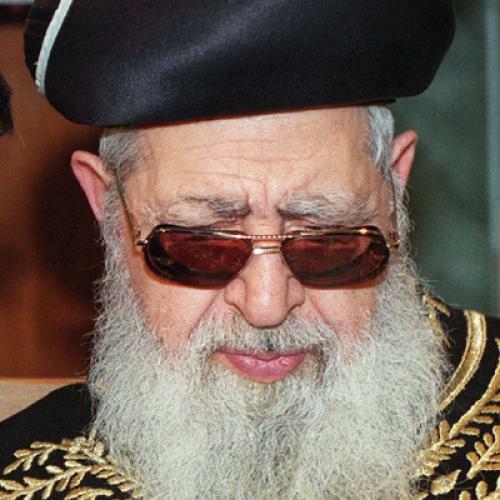 Could any one imagine that Rabbi Ovadia Yosef, a brilliant and utterly cynical “spiritual” leader, and his corrupt political martinet Eli Yishai would negotiate with their captors? Yes, this is far-fetched. But Ovadia Yosef is a religious figure not quite but sufficiently similar to the Taliban in its dogmatics of the second-class status of women to make the comparison. The condition of the pious woman in Israel will not be improved in our time. And, despite what Hillary Clinton promises, the condition of women in Afghanistan will also not be remediated. It will remain degrading and degraded and probably even if “we” win, however unlikely “our” victory.